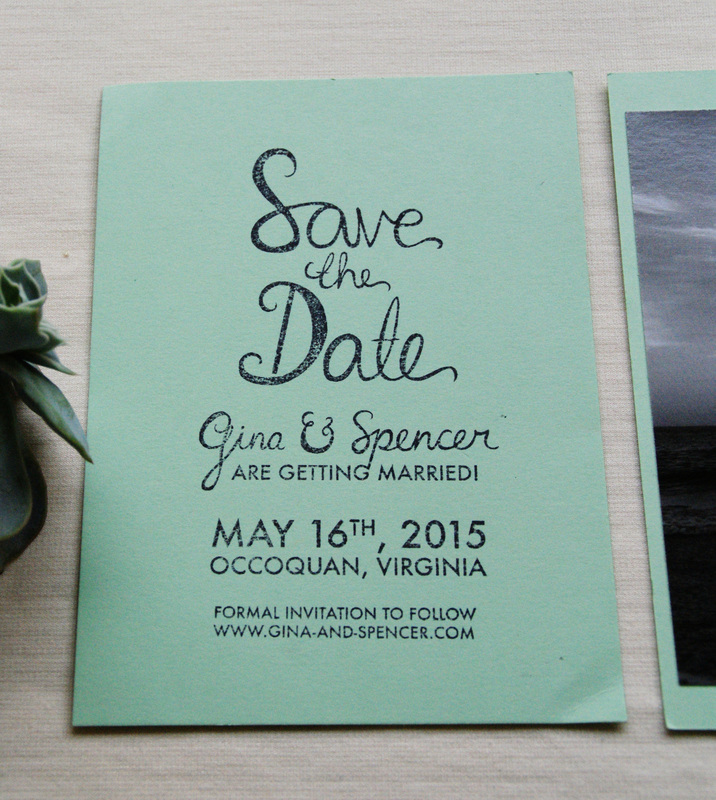 About two months overdue, the next part of the wedding paper goods series. 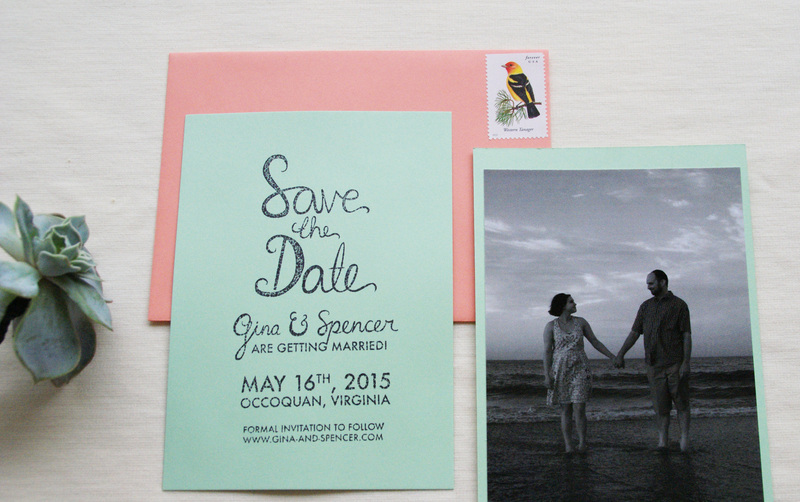 I probably should’ve posted these before the invites, but ah well. 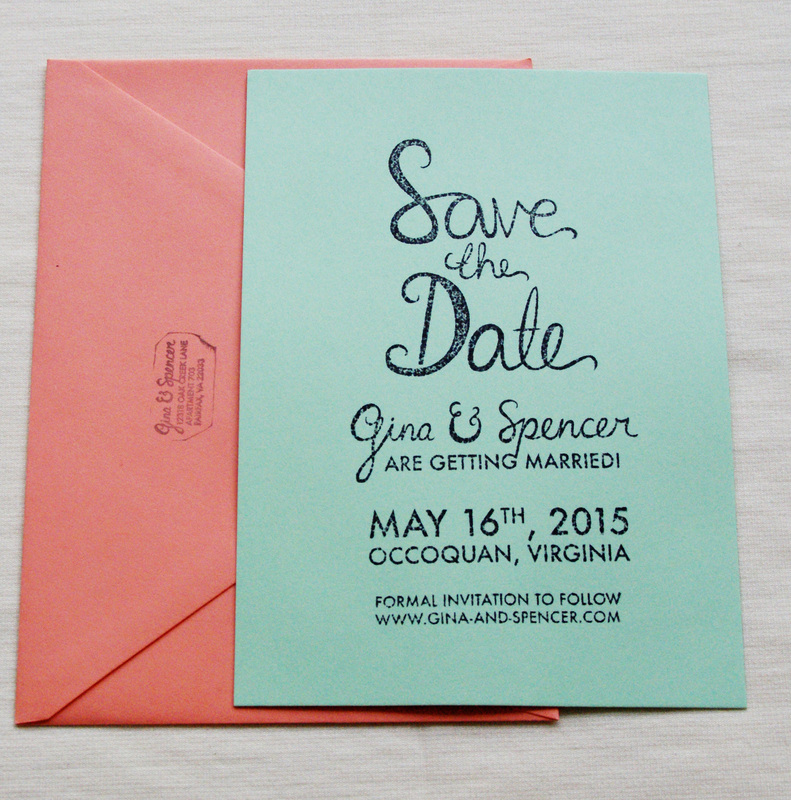 I used Paper Source papers and had a custom stamp made, which we stamped on the paper and then heat embossed. The photo is one of our engagement session photos (the first session, which my sister in law took, the same week we got engaged) were printed through Shutterfly which was quick and easy. Then I mounted them onto the back of the enclosure card with the Paper Source tape runners. Thanks to my bridesmaids for helping me assemble them all!